I stayed at Plubis for a week and it was lovely. Good location, close to everything, great people, quiet and beautiful pool. A very relaxing holiday, will definitely be returning. We stayed here this year and enjoyed it. The rooms are reasonable size and clean. The family that runs it are very friendly and it has a fantastic pool. A great place to chill out. never mind hope to see you next year for more of the same . Lots of love val and ian and the boys THE GODDENS !!! Was great to see you all again. As always the pool and food were fantastic. Would reccomend to anyone going to one of the families BBQ. Just to let you know that we got home safe and sound. Looks like a frost tonight. Thanks for looking after us so well during the last week. You made us feel so welcome and have a wonderful sense of fun. Dimitri and Dennis, along with Brian and Penelope (and Ady and Sam and Hannah), you provided some great laughs. 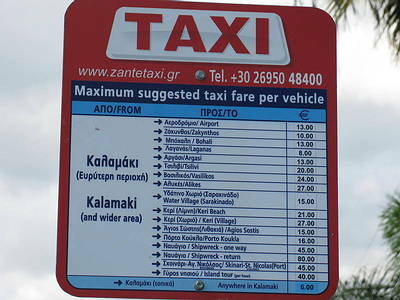 Your local knowledge is most welcome and recommend you keep directing your guests up the backside of Zante Town to the Bokhali. As last year, this is such a relaxing holiday with the cleanest pool in Kalamaki and some lovely food. Thank you Mama for Tuesday lunch and Papa for last Friday's barbecue. We stayed at the Plubis Apartments for a week 26.08.07 and had an excellent time, the 2 bedroomed apartment was excellent, very spacious and very clean. In fact the whole complex was exceptionally clean. We would definitely stay there again. Dennis, Demitris, Mama and Papa are all very welcoming and nothing is too much trouble for them. In fact we would mark it higher than 10/10. Thanks for a brilliant holiday Paula, John, Lauren and Tony. stayed at plubis for the first time this year have been going to zante for about ten years .we did stay from may until oct in 2003.used plubis pool since it was built nomatter where we stay as the family that run it are so nice drinks and food are not a rip off this june we booked on line to plubis and used the bar at night for the bar b q what a night with mama pappa and the boys. we arrived home mid june and two days latter booked plubis for 30/8/07 not long now . 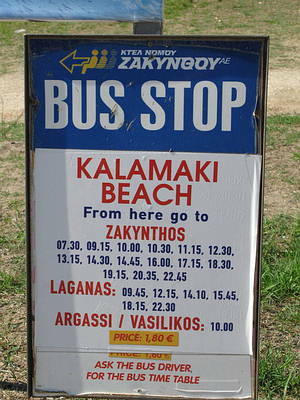 We have just returned from Kalamaki with our daughter and spent most of our days at the Plubis pool bar. We were actually staying at the Asteri Apartments and found Costa's Pool to be too busy and noisy. We found the Plubis on our first afternoon there and never looked back! The family are lovely, the food is good at the pool bar and we will definately be booking with them for our holiday next year when we are going back to Zante to get married. The family couldn't do enough for you and made you feel extremely welcome. A HUGE thank you from the McMorran family from Scotland and we are very much looking forward to staying at your apartments next year. Well watch out here we come again to this great place This time we are bringing our 3 lads who cant wait to spend some time by the pool etc oh in sept by the way. Yes its us again the Godden family counting the weeks till we stay at this excellent place 6 weeks to go ! Its so peaceful and clean and the family are the nicest people you could wish to meet . See you Dimitris and saggis and mum and dad on the 3rd sept.
What a fantastic, pleasant and friendly facilities. Although we didn't stay at plubis appartments, everyone there was friendly and made us very welcome during our 11th stay in kalamaki. I would highly reccommend this appartment/facilites to anybody who wants a relaxing holiday, with it not being far from both the main street and the beach. and we cant wait !!!!! It is such a lovely welcoming place and peaceful so look forward to seeing you in sept Demitris and Dennis and mama and papa ! Get the cocktails ready ? I wont include a picture as i have already done last time ! Below are links to specific airlines or holiday companies which offer their own charter flights to Zakynthos. We are out to Zante again in May this year and are thinking of going Scuba Diving, anyone know of a good school or instructor, we are staying at Kalamaki, so maybe Laganas is the best place to try??.. thanks.. Tam. Hello I am Dimitris Plubis, I would like to thank all of you for your nice speech. We try to do our best. I would like to inform you that unfortunately we will not be with Kosmar next year we had some problems with them. We will be independent so if you are looking for us: www.zanteweb.com Thank you all. We went in May05 and again in Oct 05 The family cant do enough for us and it is kept very clean and the food is so good We as a family will be back again next year i hope ? We all have become very good friends of the family and my brother and sister inlaw are in the kosmar book by the pool how famous is that!!! they have been going a lot longer than us .God we miss the place already ! weve only been back 5 days . so well done to the plubis family!